You could say that Vigo di Fassa offers some of the best sunsets in Italy: around here you can admire the ‘enrosadira,’ that phenomenon by which the mountains that form the Dolomites turn pink at sunset. Vigo di Fassa is in the Fassa Valley, an ideal base to go skiing in winter and hiking in summer. Located about 60 kilometers (37 mi) northeast of Trento, it boasts gorgeous views over the Sella and Marmolada groups. A cable car from the village center whisks you up to the Ciampedie basin at 2,000 meters of altitude in just a few minutes; it’s a panoramic point overlooking the Fassa Valley and the impressive Vajolet Towers, and the starting point for summer excursions into the spectacular Catinaccio group. In Vigo di Fassa you’ll also find the Ladin Cultural Institute, dedicated to the ancient Ladin language and Rhaetian culture. Nearby is Tamiòn, a tiny village where homes alternate with barns, featuring a beautiful little church dedicated to the Holy Trinity. 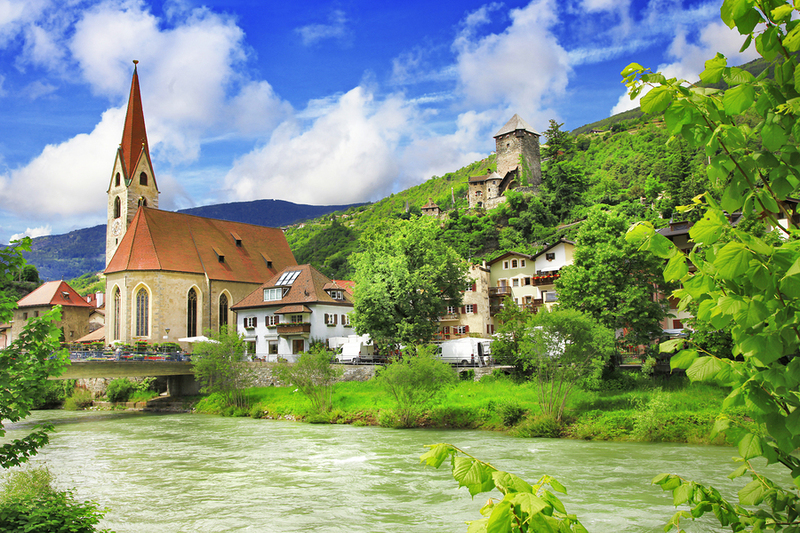 Located 30 km northeast of Bolzano, surrounded by chestnut forests and vineyards, Chiusa is a medieval village flanked by a river, with picturesque alleys and houses of crenellated facades. Chiusa is divided into Città Alta (Upper Town) and Città Bassa (Lower Town). Most houses in the Città Alta are very narrow, therefore they tend to develop horizontally. Walk behind them to admire their balconies decorated with colorful flowers, overlooking the river. From the piazza, walk toward the Città Bassa, where you can admire the vintage signs of the old inns. The small streets are named after old trades and crafts. Between the 19th and 20th centuries, Chiusa became home to many artists, especially from Germany, which is why the town is also known as the ‘city of artists’, and still has a bohemian feel to it. Between 800 and 1,000, the monastery of Sabiona, which overlooks the town from an imposing cliff, became an important bishop’s seat. Today, it represents one of the most ancient pilgrimage sites in South Tyrol. Walk the old path of the Stations of the Cross for a steep 30-minute climb up to the monastery - the view is spectacular. 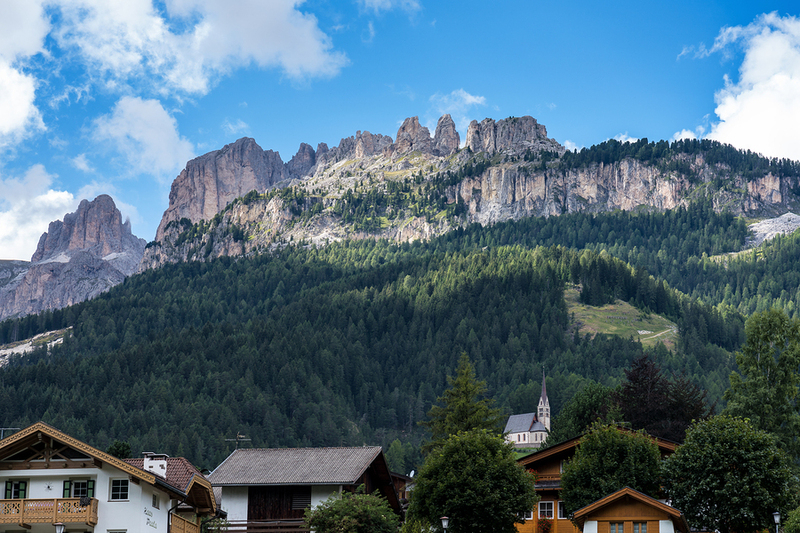 Everything about Castelrotto can be defined as picturesque – indeed many of the building’s facades were painted by a German artist whose intent was to transform this town in the renowned Val Gardena into a work of art. Stroll the streets and admire the classical parish church, the whitewashed houses, the Baroque church tower, piazza Krausen. The ruins of the ancient castle of Castelvecchio dominate the village from the top of Punta Santner, at 1,273 meters, a medieval building that can be reached on foot following a marked path. 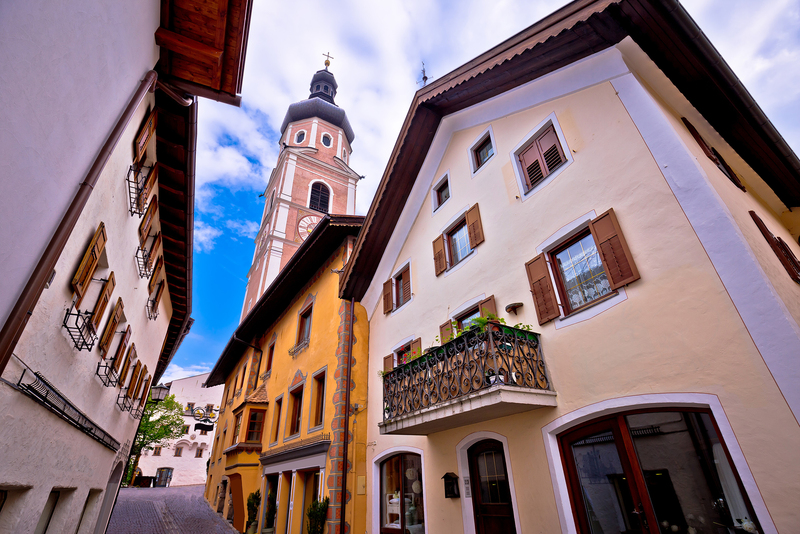 It’s said that the nine bells of the 82-meter onion-shaped bell tower in Castelrotto, one of the highest in South Tyrol, produce the most beautiful sound of South Tyrol. Castelrotto, which sits at the foot of the Alpe di Siusi, the largest alpine meadow in Europe, is part of the Sciliar Natural Park. As so many villages and towns in South Tyrol, mountains are all around, so that the opportunities for excursions are endless. Local farmers still carry cows and sheep to graze on the alpine pastures, and the delicious products that are obtained can be tasted at the numerous mountain huts, where you can refuel during your hikes. Mezzano, in the Valley of Primiero, is part of the Parco di Paneveggio - Pale di San Martino, a park that comprises some of the most spectacular mountains in the Dolomites. Meadows, fields, woods and pastures surround the village, which has maintained a tranquil pace from times gone by. Just out of town begin some easy walks set among farms, tabiàs and pastures. About an hour from the center is Prati di San Giovanni, a popular alpine area in the summer, with farms and wells for collecting rainwater. Here is the small church of San Giovanni at 1175 m. The old road connecting Mezzano to San Giovanni is very picturesque. A permanent exhibition, called ‘Cataste & Canzei,’ relives the old custom, still practiced today, of stacking wood by the house, so that it dries up and can be burned during the winter. 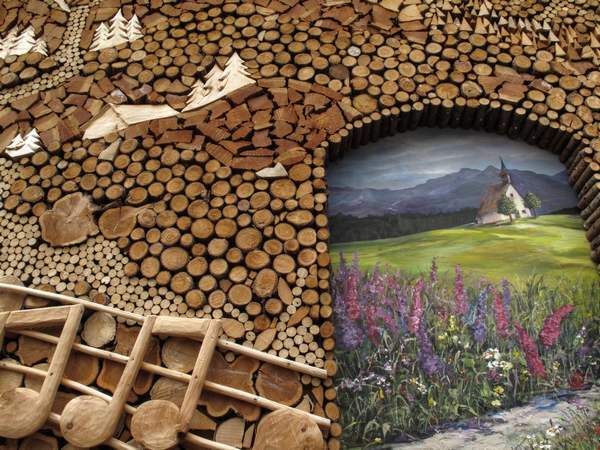 Hence the creation of works of art using stacked wood, made by local artists. Every year the exhibition is renewed with the addition of new stacks, besides the initial 14, located in the most significant locations in town.